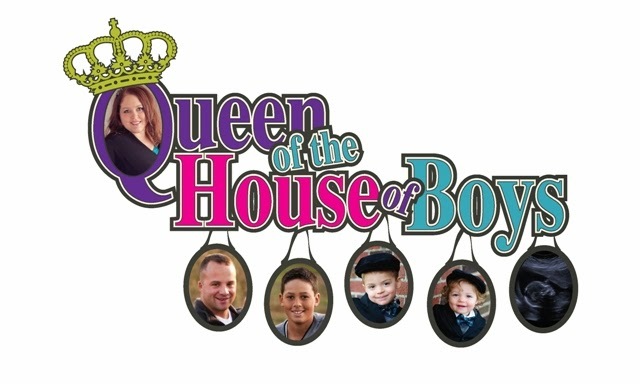 Queen of the House of Boys: Not Me! Monday! If you would like to join in on Not me! Monday...go here. I was not so totally excited about my trip to Mudd Lake to meet Mckmama that I did not use exclamation points abusively in every email, twitter, or fb update for at least two weeks. Nope...not me!!!!!!!!!!!!!!!!!!!!!!!!!!!!!!!!!!!!!!!!!!!!!!!!!!!!!!!!!!! I am not still on such a high of meeting so many women that I had so much in common with that I am still on cloud nine. I was not so giddy by the time the night was over that I could not get to sleep when I got back to the motel...and was not so totally pumped that I dreamt I was at Mudd Lake with everyone all night long! All day Thursday on my way to Minn...I did not have my own rendition of "We're off to see the Wizard" from the Wizard of Oz going through my head. If I did...I would not have possibly changed the words to.."We're off to see Mckmama...the wonderful mama of blogs..because because because because becaaaaaause....because of the wonderful things that she does!" I would never compare my dear friend Mckmama to the Wizard of Oz! Not me! I did not wait 6 hours to use a restroom on Friday not because of my fear of port-a-potties. Nope! I would never abuse my kidneys like that! I did not monitor my liquid intake closely as to not cause me to have to use the port-a-potty! Not me! I did not throw a momentary hissy fit when I got home and found that my husband had hired someone to clean our home from top to bottom! I did not momentarily freak out thinking of all my stuff that had been moved or broken or rearranged or or or or.....think about all the stuff that I was going to have to redo because it wasn't done how I do it. I would never be so shallow to completely wipe out a beautiful moment like my husband doing something so thoughtful and amazing. I did not possibly scare my husband into never wanting to do something like that for me again. I did not feel like a complete loser when I saw my laundry room and how clean and beautiful and sparkly it was! I am NOT plagued with guilt still...and I will NOT be cooking a wonderful meal for my family tonight to attempt to recover my tantrum. Not me! I am such a classy even-tempered gal that I would NEVER do any of the above! I did not take this photo while driving down I35 on my way home from Minnesota. I definitely know the dangers of distracted driving and would never do something so risky just to capture a cute moment and blog about it! Not me! I do not start out my Not me! Monday posts always thinking that I don't have enough to do a post, and then always writing more than anybody possibly wants to read! Not me! After reading some of your blog---you are right! We do have some things in common! I loved your sweater that night! I wish I had been more brave and introduced myself! I hope we can catch up at the next blogging event! Jodie~Thanks for stopping by! I look forward to reading about your adventures in a house filled with boys also! Angela~I love you!!!!! You make me laugh! Yes, James has his glory moments as a husband. My tantrum was not pretty, but when I saw how clean the laundry room was it was like walkin into heaven! Still finding things that are moved and not in "there place"...but biting my tongue! Shelly~Thanks for stopping by and following! I know, I can not resist the sleeping baby! I would love to just snuggle him all the time! oh my I love the fact that you took pictures driving! that is totally something I would do!! I left you a blog award on my blog! Hope you have a sweet day!